Tree care is a specialist service and to ensure you maintain healthy trees you need to work with qualified and well respected tree surgeons. J E Varley have been around for over 20 years and have helped 1000’s of people across Yorkshire with their tree care services. As Yorkshire tree contractors we pride ourselves in providing good quality advice in the first instance and then quick, efficient and professional tree services. We’ve worked with some of the most recognised commercial business in Yorkshire and helped residential property owners with tree services, and we’re delighted to say that 9 out of 10 people will recommend us to one of their friends or family, indeed we’ve built the business off the back of referrals and recommendations. Experts in tree felling, planting and every type of tree services in Yorkshire, J E Varley and team operating every day in and around Bradford, Leeds, Baildon and beyond. 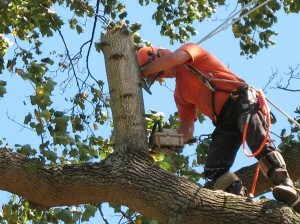 We love any type of tree surgery work and we’d welcome the opportunity to help you with your tree work. If you’re looking for a tree surgeon in Airedale, Bradford, Leeds or through Yorkshire then speak to the J E Varley team, we’ll be more than happy to help.